Director Priyadarshan has made a big mark in Bollywood with his light hearted comedies, most of them remakes of Malayalam films. Hailing from Thiruvananthapuram, Kerala, his father was a librarian. He is one of the top Indian filmmakers today with over 80 films in various languages. Priyadarshan met his wife Lissy on the sets of his second Malayalam film. They worked together in 12 films before they got married. Post marriage, Lissy plays the perfect home maker, and is Priyadarshan’s pillar of strength. 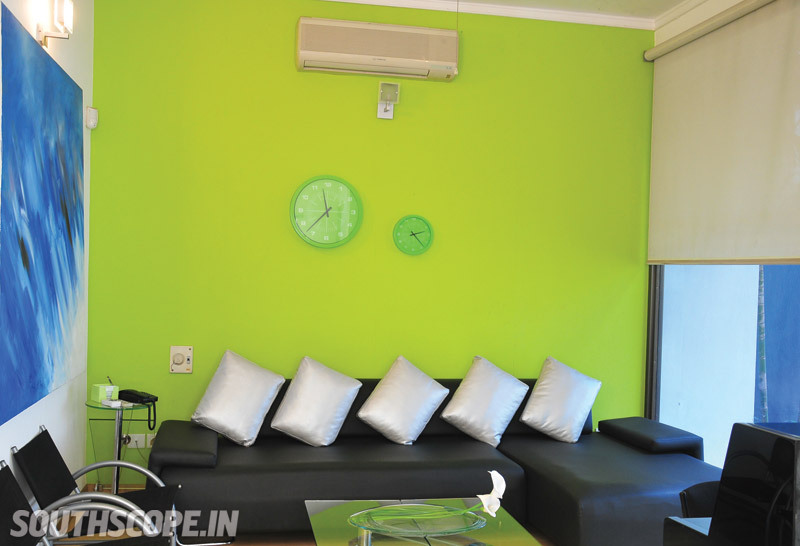 She also runs Four Frames, the best preview theatre/post-production facility in Chennai. 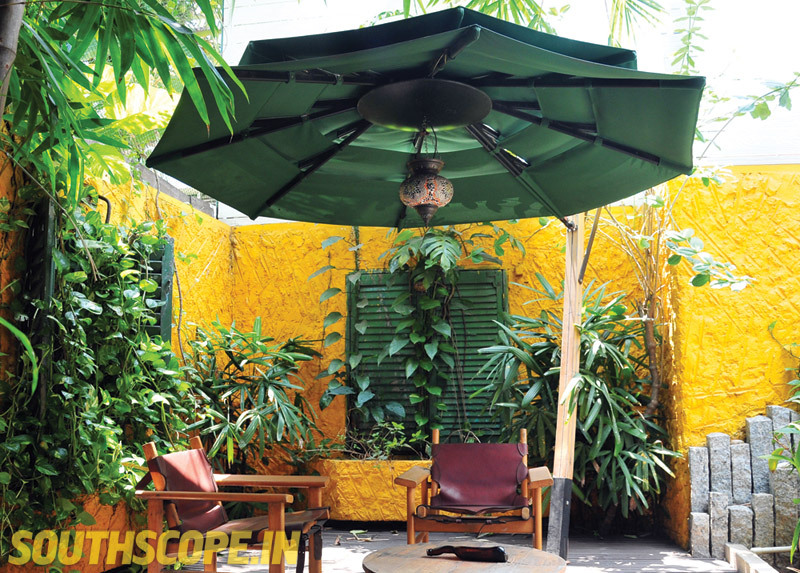 Priyadarshan, who wanted the lush green look of Kerala somewhere in his home, insisted on a small compact garden by the side of the bar which has a smoking area. One wall opens up to a lush green garden area. There are fountains and an underground spring here, giving the garden a cool look. 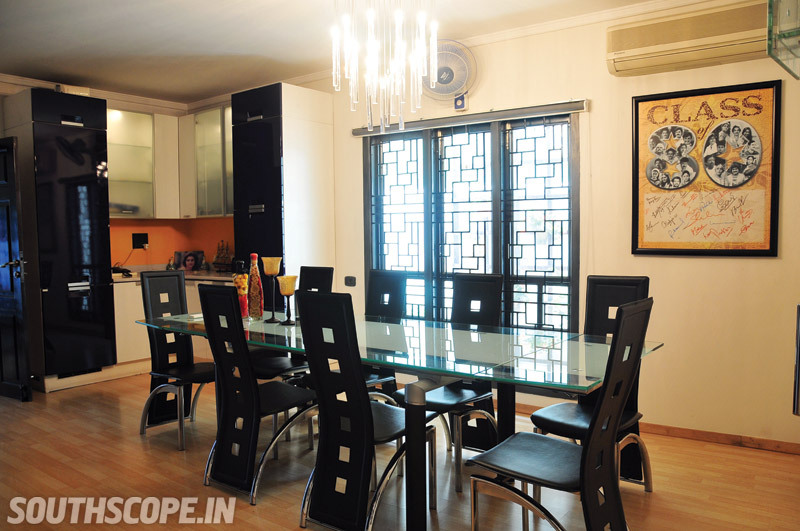 Unlike most Malayalees whose homes are done up in the typical Kerala architecture, Priyadarshan and Lissy’s home is contemporary with an ultra chic décor in white, black and red, designed by architects Sajith and Vivek. The house is unique in the sense that there is no wood used anywhere and it’s more of glass and metal. All the furniture was hand-picked by the couple from Singapore. 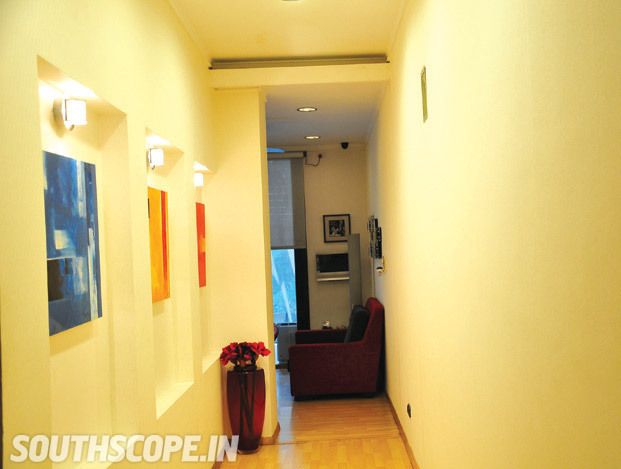 The 4500 square feet home is adjacent to Priyadarshan’s state-of-the-art Four Frames studio. Lissy along with her friends organised the Class of 80’s party? 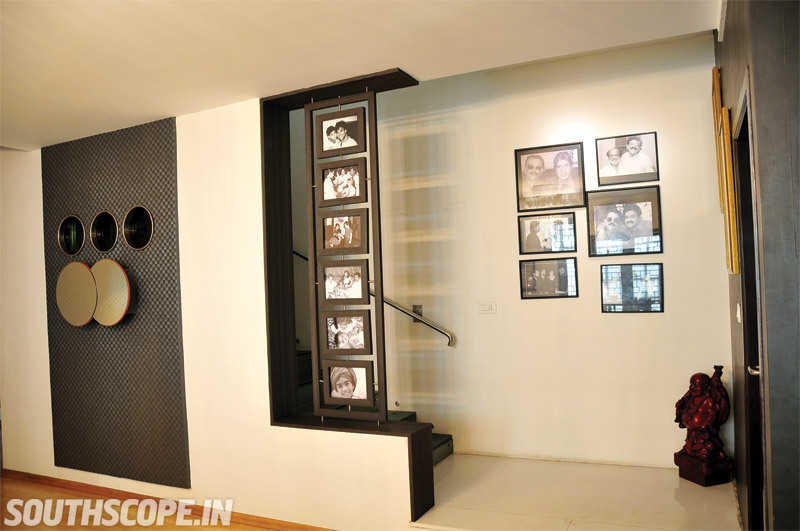 The who’s who of south Indian cinema had come together for this party and a huge picture of that autographed by the guests adorns the wall of the dining room. Lissy’s favourite space is the family living room where she loves spending time reading or watching television and keeps an eye on everything through the close circuit TV which covers 16 areas of her home and office. 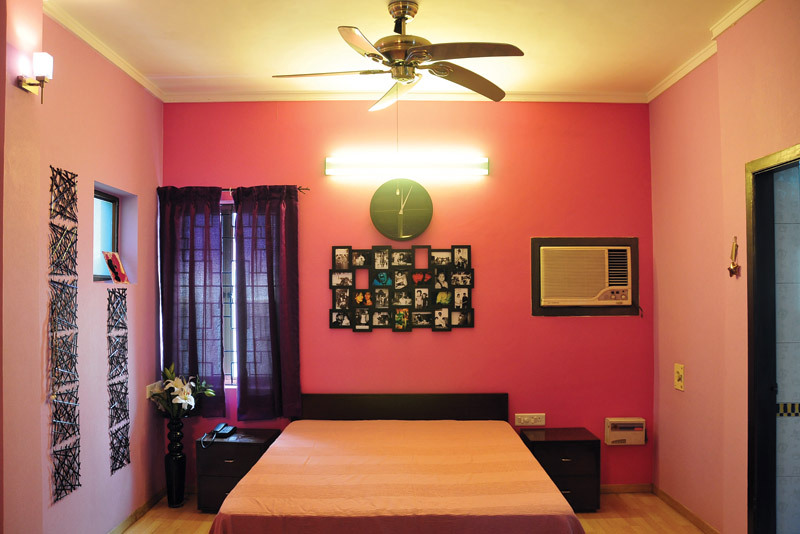 Priyadarshan daughter Kalyani’s room is all pink. On one wall is a collage of pictures right from the time she was born up till now. 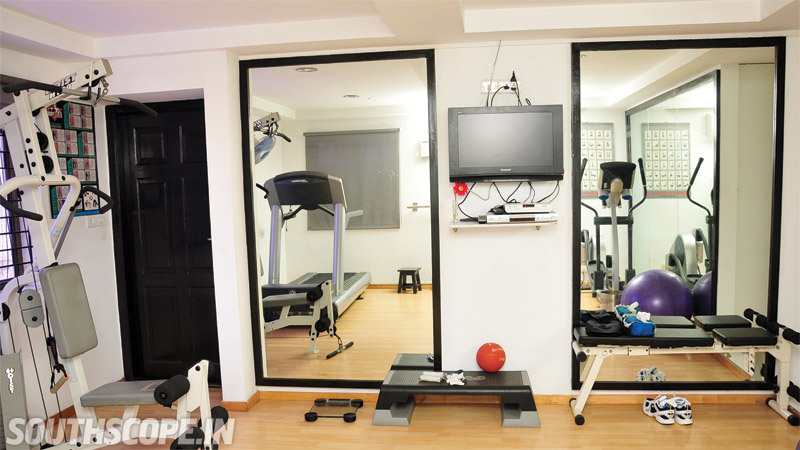 The state-of-the-art gym on the fourth floor has all the high end gadgets including a steam and sauna. 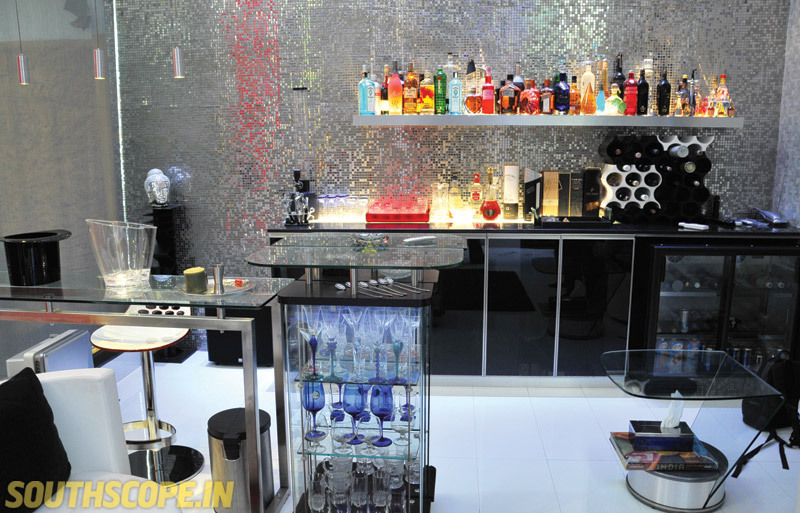 The bar is bright and colourful with lot of sunlight coming in. One wall opens up to a lush green garden area. There are fountains and an underground spring here, giving the garden a cool look. 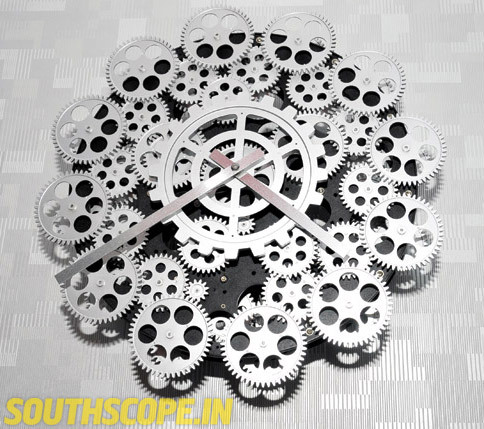 Priyadarshan who has a keen eye for anything in silver and metal picked up this clock from FCML store.